as well as special resources for teachers. 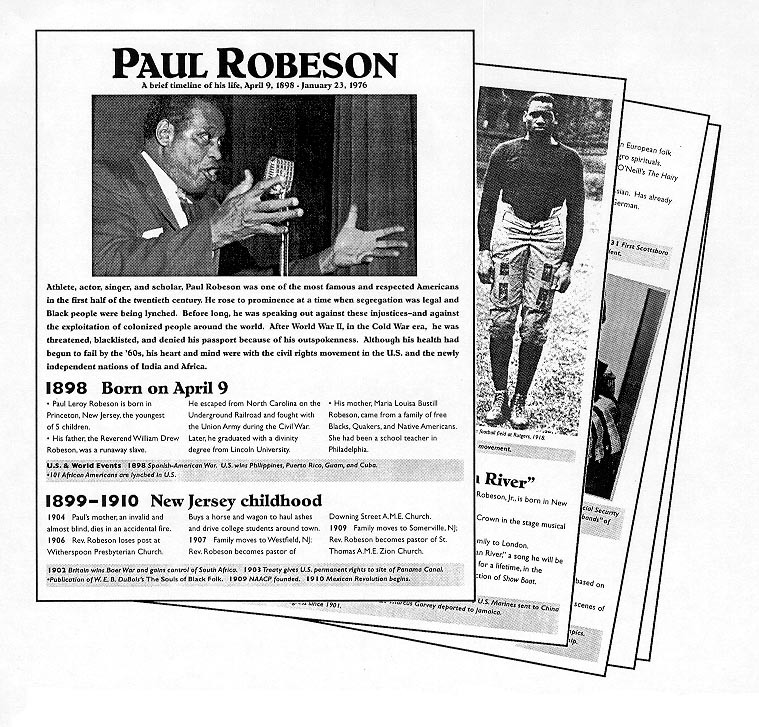 Please help us maintain this web site with links to additional resources for studying, teaching, and celebrating Paul Robeson. 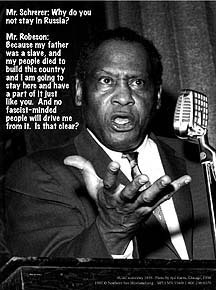 Unfortunately, we can no longer maintain a calendar of Robeson-related events. 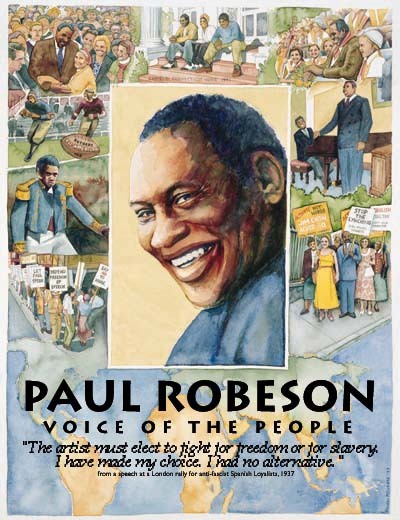 Paul Robeson Commemorative Stamp Campaign -- SUCCESS IN 2004! The Postal Service issued a 37-cent Paul Robeson commemorative stamp (in a pressure sensitive pane of 20) on January 20, 2004, in Princeton, New Jersey. This website is maintained by Don Goldhamer, with much assistance.